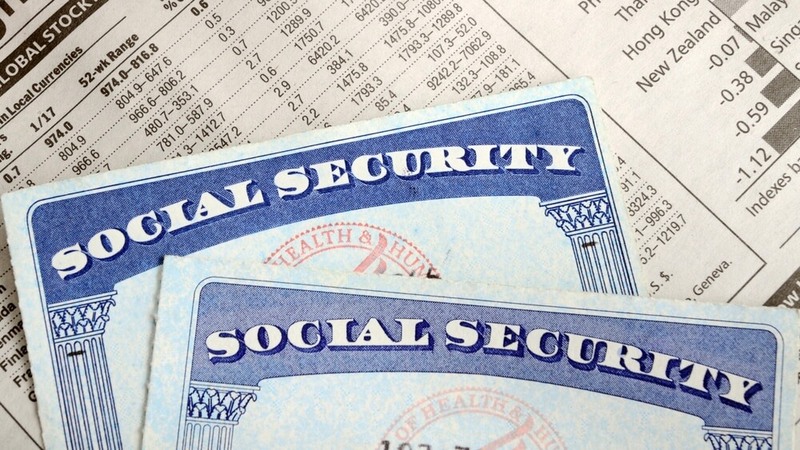 Social Security, formally known as the federal Old-Age, Survivors, and Disability Insurance (OASDI) program, was the first social insurance program in the United States. Signed into law by President Franklin Roosevelt in 1935, its primary objective has been to reduce high poverty rates among older Americans, an issue which became more pronounced in the throes of the Great Depression. Though it initially only provided retirement benefits for primary workers, Social Security has evolved over time to benefit more people, including survivors, spouses, and children (1939) and people with disabilities (1956). For many people today, it serves as a supplement to retirement and pension incomes. Eligibility for Social Security benefits is based upon credits earned from earned income sources such as wages and tips during your working years. In 2018, each $1,320 of Social Security taxable earnings produces one credit, with a maximum of four credits earned per year. For people born in 1929 or later, 40 credits is required to receive full Social Security retirement benefits. Your Social Security benefit, also known as primary insurance amount (PIA), is based on your lifetime earnings—specifically, your average indexed monthly earnings during the 35 years in which your income was highest. 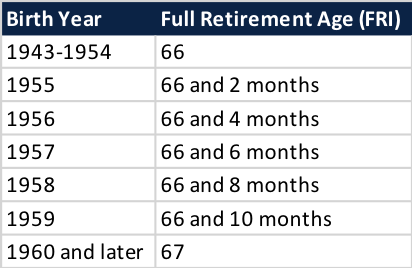 Full PIA benefits are available to those who wait until their full retirement age (FRA), which differs based upon birth year (Figure 1). Clients frequently seek our advice about the best time to take Social Security retirement benefits. However, the truth is there is no one-size-fits-all solution, as timing depends on a number of factors. Let’s consider the following example: If you were born in 1954, your FRA is 66 years old. The earliest age you can take your benefits (regardless of birth year) is 62. Using a $1,000 monthly FRA benefit amount as the starting point, filing at age 62 reduces your monthly benefit amount by 25%, while deferring until age 70 results in a 32% increase. Therefore, the difference between taking early or delaying is the difference between $750/month or $1,320/month—quite a difference over your remaining lifetime of spending needs. To give you an idea of the tradeoffs, Figure 2 shows the break-even points for each strategy. To summarize, if you die before age 78, you’ll have received more cumulative benefits by filing early. Filing at FRA leads to the largest cumulative benefits if you live to between 78 and 81 years of age. Finally, if you live past 81, you’ll receive more cumulative benefits by delaying filing until age 70. In terms of the “best” age to take Social Security retirement benefits, one of the most important factors to consider is your family’s medical history. For example, if your grandmother lived into her 90s and your parents are still alive in their 80s, chances are you will live a long life, too. However, if a chronic medical condition runs in your family, you should consider whether delaying at all is in your best financial interests. Something which cannot be calculated on a spreadsheet is the personal utility of money. In other words, what are these benefits going to do for you and your family? This is a “kitchen table conversation” we often have with our clients. If having access to these funds will allow you to do something you may otherwise be incapable of doing, either financially or for health reasons, then you should consider what is best for you and your family from a holistic perspective. Another important factor is your marital status, as spousal benefits can impact when you decide to file. If you are a divorcee who was married for at least 10 years, have been divorced for at least two years, and haven’t remarried, you are eligible to receive up to half of your ex-spouse’s full benefit. This may allow you to take your spousal benefit early and postpone filing your own. For anyone born on or before January 1, 1954, there is another strategy worth serious consideration. The “restricted application” is a poorly publicized but extremely useful tool for married couples contemplating the start of their Social Security benefits. The scenario unfolds as follows: the spouse with the higher PIA (let’s call him Jack) delays until age 70 (deferring benefits for a 32% monthly increase), while the spouse with the lower amount (Jill, for this example) begins taking her FRA benefits at age 66. Here’s where the fun begins. Jack files a restricted application for spousal benefits based on Jill’s share, which equates to half of her FRA benefits. Using our earlier example, this would amount to $1,000/month for Jill, and $500/month for Jack (all the while Jack is letting his benefits continue to accrue). Once Jack turns 70, he can “turn off” the restricted application and apply for his own delayed—but now larger—monthly benefit. Using this example, employing the strategy will accrue an additional $56,000 (Figure 3). In addition to receiving more money, the restricted application benefits families in two ways. First, while the larger PIA benefit accrues, it ensures a greater survivor benefit amount when the first spouse passes. Second, it balances the risk/reward tradeoff of receiving some benefits to enjoy now (per the kitchen table conversation about the utility of money), while simultaneously planning for the “risk” of living well into your 80s or 90s. Finally, once you’ve determined the age at which you want to receive benefits, be sure to apply three months before you would like them to begin. Please don’t hesitate to reach out to a Balentine relationship manager to discuss Social Security retirement benefits in more detail. More information is also available at www.socialsecurity.gov or by visiting a local Social Security office. 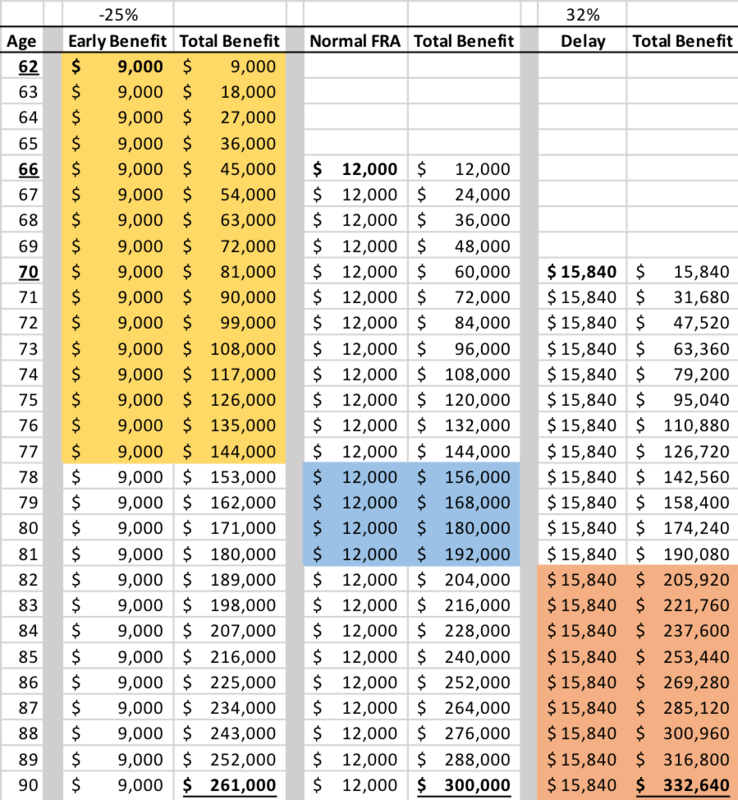 For illustrative purposes, this chart shows equal PIA payments for both spouses. For illustrative purposes, we have not assumed reinvestment of proceeds, taxes, or inflation of benefits. Please consult with your tax advisor to discuss taxation of benefits in greater detail.